EnerStar’s 80th Annual Meeting is just around the corner, and cooperative members have the opportunity to run in the -upcoming board of directors election. Members who are eligible candidates and can commit the time and energy to the member-owned -corporation may want to consider this opportunity. 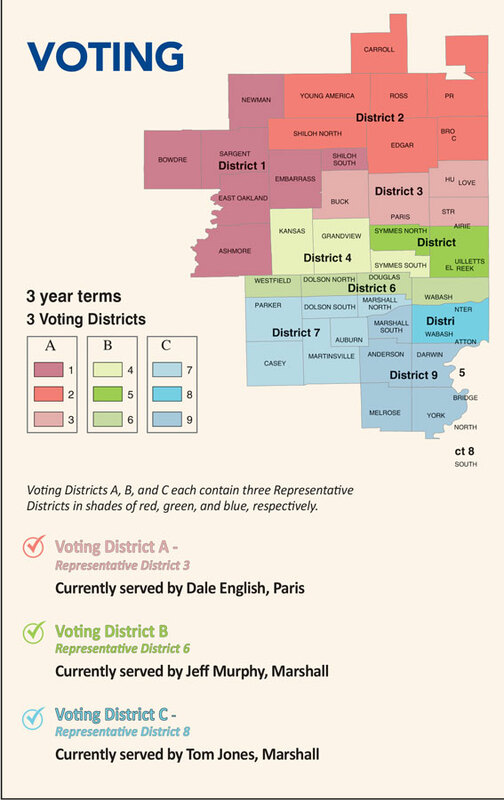 For the 2019 election, EnerStar has three director seats, which are three year terms in Districts 3, 6 and 8. Members interested in running for the board should contact the cooperative office to verify eligibility and receive a petition packet. The packet includes all the necessary information one would need to learn more about the cooperative and the role of the director. Board petitions require the signatures of 15 EnerStar members who live in the candidate’s Voting District. All members signing petitions must have an original membership card on file and must be currently receiving electricity from the cooperative. Candidates will also need to check with cooperative personnel to make certain they reside within the correct Representative District. Petition packets can be picked up at the EnerStar headquarters in Paris beginning Nov. 28, 2018. They may also be obtained via mail or email by calling the cooperative office at 800-635-4145 during normal business hours. Completed petitions may be turned in to the -cooperative office from Jan. 8, 2019 to Jan. 23, 2019. Candidates should also provide a short biographical sketch, 250 words or less, and a digital photo to be published with the Annual Meeting Notice. Candidates should also make plans to attend the 2019 Annual Meeting of Members on Saturday, March 16, in the Crestwood School gym in Paris.